Life is way too short to drink bad wine, don't you agree? 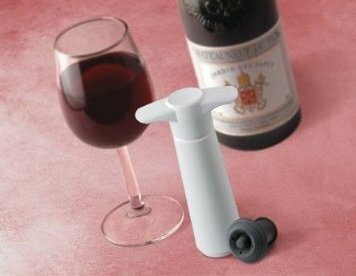 If you like a glass or two of wine a day—hey, it's good for your health!—then the inexpensive Vacu Vin 3-Piece Wine Saver Pump & Stopper will keep your wine fresh for days. A simple vacuum pump, it extracts air from an opened wine bottle, leaving it sealed tight with a re-usable rubber stopper. The whole process takes only a few seconds. Without air in the bottle, the oxidation process slows way down and keeps the wine from rapidly degrading. In other words, you'll enjoy a glass as much the third or fourth day as you did with the first pour on Day 1. (Note: this process does not work on sparkling wines). Comes with a one-year warranty and two stoppers. Cost: $12. Over the years the annual San Francisco Chronicle Wine Competition has become the world's largest competition of American wines. The 2011 event, conducted earlier this year, was the biggest ever, attracting a whopping 5,050 entries from 23 states. Somehow the judges managed to survive the rigors of a week-long tasting task. They arrived at a list of winners for Bronze, Silver, Gold, and Double Gold medals, as well as Best of Class awards and Sweepstake awards (the top sparkling, white, pink, red and dessert/speciality wines). This Saturday, February 19, you can taste the award-winners for yourself at the annual Public Tasting held at Forst Mason Center's Festival Pavilion. Lots of yummy bites will be on hand to pair with the wines. The price: $50 in advance, $85 at the door (if available). You might want to take a look at a complete list of medal winners by category. 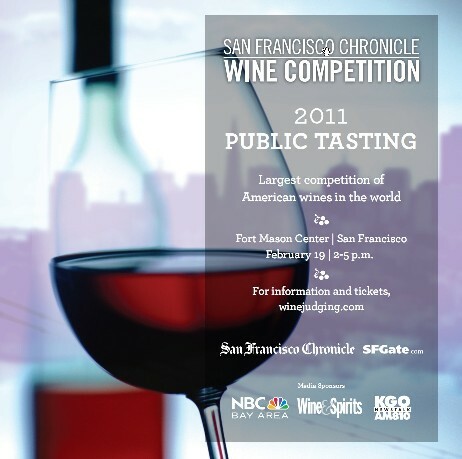 And an added note: This year the Competition held its first wine label contest. The winner, from Clif Family Winery in Napa Valley, was for "The Climber Red '09," a Zinfandel blend. The wine industry in China is changing—fast! In 2006, China was not even included (and never had been) among the world’s Top 10 winemaking nations. But according to a recent study from London-based International Wine and Spirits Research, by 2014 China is expected to produce 128 million cases...more wine than Australia. But for American and other winemakers, there’s no cause for alarm…yet. For one thing, with a few exceptions China’s wine really isn’t very good at this point. For another, most Chinese wine currently made is sold and drunk within China. But, experts say, China’s climate and terrain are capable of producing excellent wine (and lots of it). In fact, some people think they’re already producing decent wines—and have been doing so for a while. 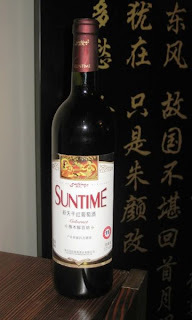 Writing in the Atlantic in 2007, James Fallows cited two wines he felt were “good” (one is Suntime, shown above; it's from the Xinjiang region). Granted, good ain't great, but with time it may become so. In an article in The Independent (London), a representative of Britain’s oldest wine merchant, Berry Bros., said: "With the right soil, low labor costs and soaring domestic demand, China is set to take the world of wine by storm." The spokesperson predicted that by 2058 China will be the world’s biggest wine producer. The country’s grape varieties are mostly derived from wild species, but foreign investors have planted western red varietals such as Cabernet Sauvignon, Merlot, and Cabernet franc. China’s increasingly affluent society is demanding more and better wines, and for the moment such wines are being imported. In fact, Hong Kong is now the world’s third-largest wine auction center (after New York and London). There appears to be something of "tulipmania" frenzy vis-a-vis wine in that part of the world, with long-time experts describing auction prices as "crazy." For example, at a recent Sotheby's auction in Hong Kong, Asian bidders paid nearly $70,000 for two cases of 2009 Lafite (pre-auction estimates were between $10-15,000).To learn more, read an article about the auction that appeared in Decanter. Back by popular demand, The Bahamas' most successful promotion of all time offers travelers booking by February 28, 2011 the opportunity to receive free companion airfare or an instant air credit up to $300 for bookings of four or more nights. Choose from more than 40 resorts and hotels throughout Nassau/Paradise Island, Grand Bahama Island, The Abacos, Cat Island, Harbour Island and The Exumas, just to name a few. The offer is valid for travel now through June 30, 2011, and some blackout dates do apply. Life in The Bahamas just keeps getting better. And it's easy to see why. With world-class diving and fishing, miles of picture perfect beaches, and gorgeous turquoise water, visitors have the opportunity to do everything or nothing at all. 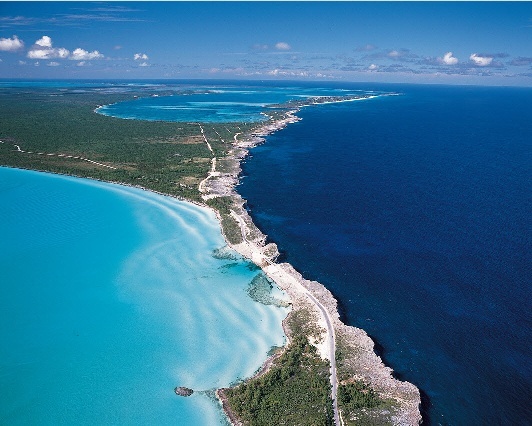 From Exuma, Eleuthera and Abaco to excitingNassau/Paradise Island and Grand Bahama Island, this tropical paradise is as culturally diverse as it is vibrantly beautiful. To figure out which of the Bahamian islands you'd most like to explore, visit the official Facebook webpage, where you can download an Island Guide and take the short "Island Finder" lifestyle survey to discover the islands that match your interests. For a full list of participating hotels and to book the free companion airfare offer or $300 instant air credit offer, visit Bahamas.com or call 1-800-BAHAMAS. If you like Italian food, you'll love this news. Once again, the Culinary Institute of America (CIA) has introduced a free in-depth web resource for foodies ranging from the professional chef to the home cook. 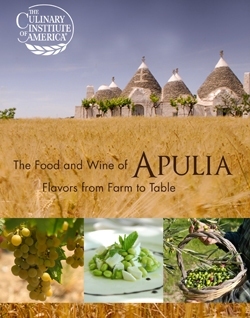 Entitled The Food and Wine of Apulia: Flavors from Farm to Table, the new learning module--packed with recipes, video demonstrations, chef interviews and more--is available to all on the CIA website. One of my favorite videos: Bread from the Wood-Fired Ovens of Altamura. Apulia (also known as Puglia) is located on the southeastern tip of the Italian peninsula, the heel of Italy's boot. It's a long and slender region with more than 500 miles of coastline and a rich agricultural heritage that includes lush olive oils, artisan breads and cheese, and great wines. It is considered Italy's richest area for fruit and vegetable production. The Food and Wine of Apulia: Flavors from Farm to Table is a virtual tour of rhe region, one of Italy's undiscovered food frontiers. Featuring some of Apulia's most renowned chefs and food artisans and illustrating iconic dishes from the region, segments include Expressive and Essential: Extra-Virgin Olive Oil, Fresh from the Gardens of Peppe Zullo, A Lesson in Orrechiette with Pietro Zito, Bread from the Wood-Fired Ovens of Apulia, The World Class Wines of Apulia, and many more. This generous resource is presented by Regione di Apulia and was produced by the CIA New Media group, which has been honored with two James Beard Awards for Best Video Webcast.